Miranda has wanted to marry Robert since she was a little girl. She's tired of waiting and hatches a plan to sneak into his bedroom and force the issue. But there is a slight problem with her plan. She ends up in bed with his older brother Sebastian. Both are shocked and Sebastian offers her a solution. He needs a wife. So if she helps him find one, he'll help her win his brother. But from the very beginning things do not go as planned. This was a somewhat interesting read. The plot line was very predictable, so I knew the outcome, it was more about the journey to get there. I thought the main characters were annoying more often than not, but the story was amusing and I wasn't reading it for enlightenment. The author could have sped the story up and added more details. It felt like the whole story was all about the angst and if the characters had a good knock upside the head it would have been resolved within a few pages. There were some bedroom scenes for those who need to know that type of thing. Overall, it was an okay story that could have had a lot less angst to make it better for me. 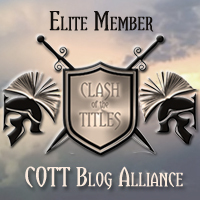 But I think readers of historical fiction will find it entertaining. I received a copy of this book. All thoughts expressed are my own. The divorce rate is rising. The statistics for broken relationships, blended families, and single parenting is heartbreaking. But there is hope. 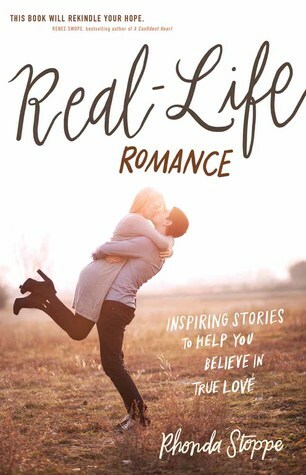 This book highlights different types of romance and love that occurred when they allowed God to bless and direct their lives. Each chapter tells the story of a couple, how they met, and what made their romance so wonderful. The chapters end with some thoughts to ponder and some questions each reader can ask pertaining to relationships and marriage. I really enjoyed this book. 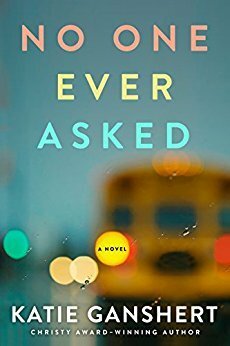 The author's writing style was fun and felt like listening to a friend talk about how she met her husband. Each story was unique and showcased the individuality of the people involved. I liked the questions and thoughts at the end of each chapter. I think this book would compliment a marriage study or seminar. This book would also make an excellent book for that single or newly engaged person that you might know. But as an "old" married person, I enjoyed it just as much and it was encouraging to hear so many wonderful stories of Christians who followed God's will for their lives when falling in love. I received a copy of this book from Litfuse Publicity. All thoughts expressed are my own. Amira arrives in an American classroom as a refugee from Syria. Her classmates learn about life in a refugee camp and Amira learns about her new home in the US. 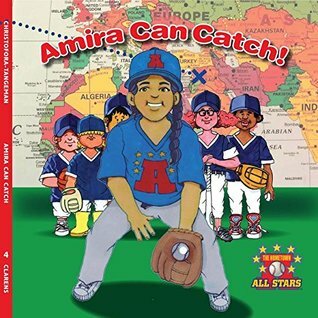 The readers will learn all about baseball as they follow Amira and her classmates to the ball field for a practice session. Sprinkled throughout the book are facts about baseball history, American history, and vocabulary words. My children weren't really in to this book. So after they finished reading it, I checked it out and asked them why. The book is some serious need of editing. I found several errors. The kids weren't fond of the illustrations and I agree with them. The author has a great concept, but it was a bit stilted in the execution. With some serious editing and a punch up of the illustrations, I think the book could have some serious potential. Parents and teachers will appreciate the bits of history and baseball knowledge. I received a copy of this book from At Large Publicity. All thoughts expressed are my own. This particular journal features the art of Hello Angel. The theme is wintry cold. The pages are wide rule lined style and the paper is thick and acid-free. Almost every other page has a bright picture with rich, deep colors. There are flowers, winter animals and scenes, and mandala shapes. Each page has a hint of color corresponding to the pictures around it. The hard back cover makes it excellent for holding while journaling or drawing. I fell in love with the beautiful pictures and tinted pages. Each lined page has plenty of room to journal or write down lists and thoughts. The thick pages didn't bleed through when I used a heavy marker or gel pen. The drawings also inspired me to do a little doodling of my own. This would make an excellent gift, but I'm going to have a hard time parting with it. These books can be found at all of the retail sites I checked. Overall, I would say this is an excellent journal and can't wait to use it more. I received a copy of this book from Fox Chapel Publishing. All thoughts expressed are my own. Sam is known for his work with troubled horses. He's become somewhat of a celebrity, complete with tours and publicists wanting to work for him. But he really just wants to go home and work his ranch. So when he receives a message from Mr. Ford, who owns River Ranch, he's reluctant to go. But he can't turn down a troubled horse. 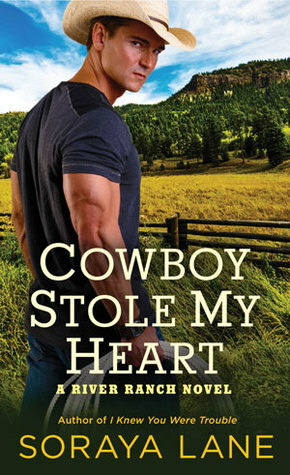 When he arrives, he finds out that the horse belongs to the heiress of the River Ranch fortune, Mia Ford. I received a copy of this book from Goodreads. All thoughts expressed are my own. Follow three women as they navigate the changes that are being forced upon them. A local school has lost it's accreditation and so some of the low-income children are being sent to the affluent school closest to them. Three women are faced with challenges to their family, their marriages, and their jobs as they try to understand medical, racial, and parenting issues. What these women learn will change their lives. Wow! Ms. Ganshert has done it again. She takes on quite a few major hot points in this book and writes with heart, emotion, and inspiration. Her insight into the issues that our country is facing is insightful and thought provoking. It is labeled as a novel, but was inspired by actual events. I could feel the authenticity. The characters were well defined. I was pleasantly surprised because there were quite a few characters, but I wasn't ever lost or wondering which person I was reading about. Ms. Ganshert has a gift for writing emotions that jump out and engulf the reader. This book was no exception. This book pulled me in and wouldn't let go, even after I'd finished reading the last page. I couldn't stop thinking about it. I think everyone should read this, it's that good and that thought provoking. 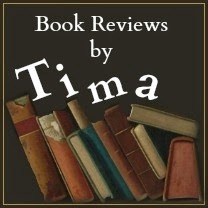 Overall, this book gets 5+ stars and I'd recommend it to everyone. 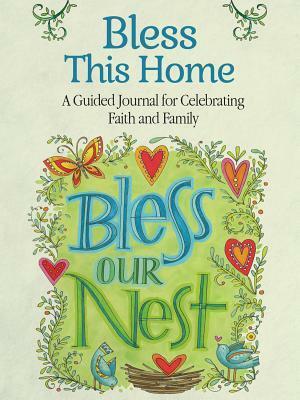 This particular journal features the artwork of Robin Pickens The theme is family. The pages are wide rule lined style and the paper is thick and acid-free. Every other page has a bright picture with rich, deep colors that encircle a quote or Bible verse. 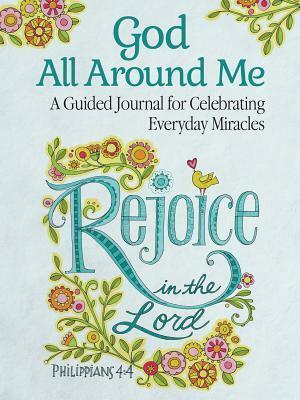 There are journal prompts throughout the book that go with the theme of faith and family. The hard back cover makes it excellent for holding while journaling or drawing. I fell in love with the beautiful pictures and thoughtful prompts. Each lined page has plenty of room to journal or write down lists and thoughts. The thick pages didn't bleed through when I used a heavy marker or gel pen. The drawings also inspired me to do a little doodling of my own. This would make an excellent gift, but I'm going to have a hard time parting with it. These books can be found at all of the retail sites I checked. Overall, I would say this is an excellent journal and can't wait to use it more. The authors are under the impression that the dinner party is in jeopardy because of brunch. People meet for brunch instead of communing over a dinner party. So the authors have written a book that combines advice, recipes, and tips on how to throw the perfect dinner party. This is an interesting concept for writing a book on the perfect dinner party. 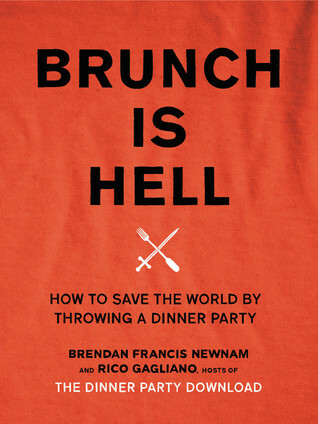 Basically the authors trashed brunch (still not sure what their reason was - except maybe a reason to write a book), and then wrote a book about how to host the perfect party. The recipes are interesting, but I tried a couple and wasn't fond of them. My family hated them. The advice seems more geared towards a partying young adult and not a mature adult who wants to enjoy an evening with friends. Overall, unless you want a book for some laughs, I wouldn't recommend this book. Nervous about a presentation or audition? Wonder why people think you're stuck up when really you are shy? 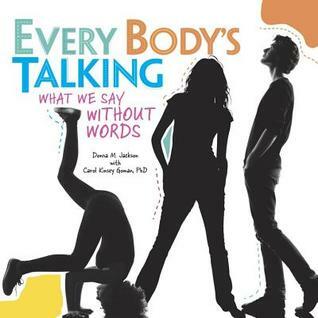 Pick up this large, hardcover book to discover what your body is saying about you. And learn how to project the image you wish to convey by acting out what you want the outcome to be. Learn how to project confident. Learn about the different gestures we make and how they could be considered rude or have different meanings in different cultures. This book is geared for children and mine loved it. But I also enjoyed it and learned some new things. The print is larger and the vocabulary fits for the intended audience. The pages are glossy and have plenty of brightly colored photographs and illustrations. The layout is conducive to learning with bullet points and cutouts. I think the book would be excellent for school libraries, home school parents, and family libraries. We will be donating it to our school once my children are willing to part with it.